​Ames Racquet and Fitness Center has served the community of Ames since 1977 and is excited to now be a part of the ISU Research Park as of Summer 2017. 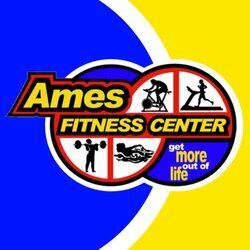 Our goal is to provide top quality services, programs, and equipment to the people of Ames and surrounding communities to motivate people to live a healthier lifestyle. We offer approximately 100 free group fitness weekly, an indoor track, an indoor pool, child care services, Certified Personal trainers, and more. Our hope is to provide services that will accommodate people of all ages and fitness levels.